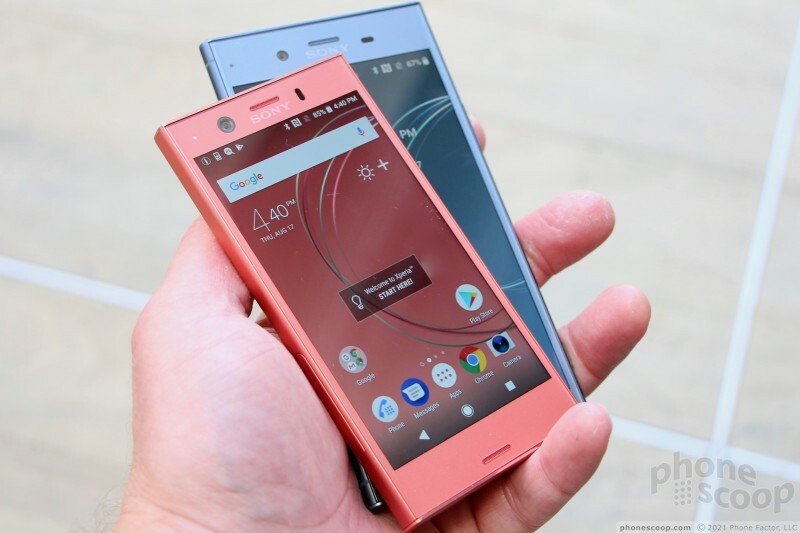 The Xperia XZ1 is the latest evolutionary step in Sony's ever-growing collection of smartphones. 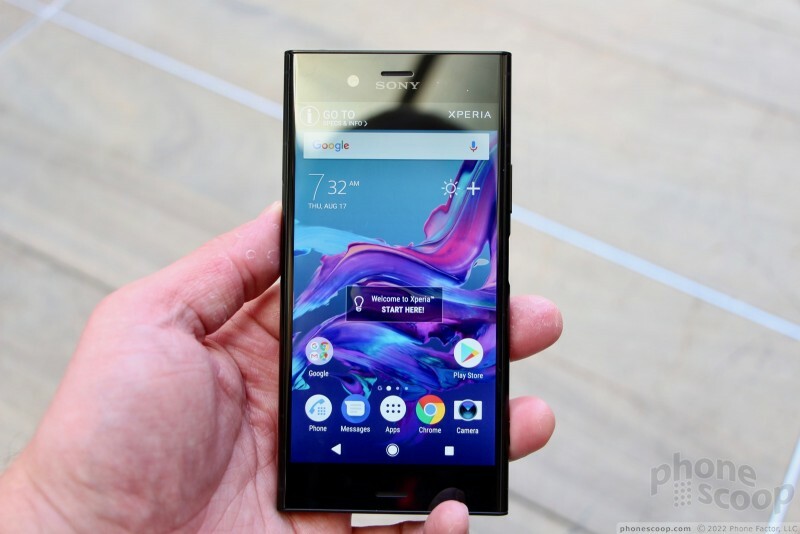 It is a flagship-level device in terms of specs and performance, and Sony corrected some of the niggles we had with last year's XZ. 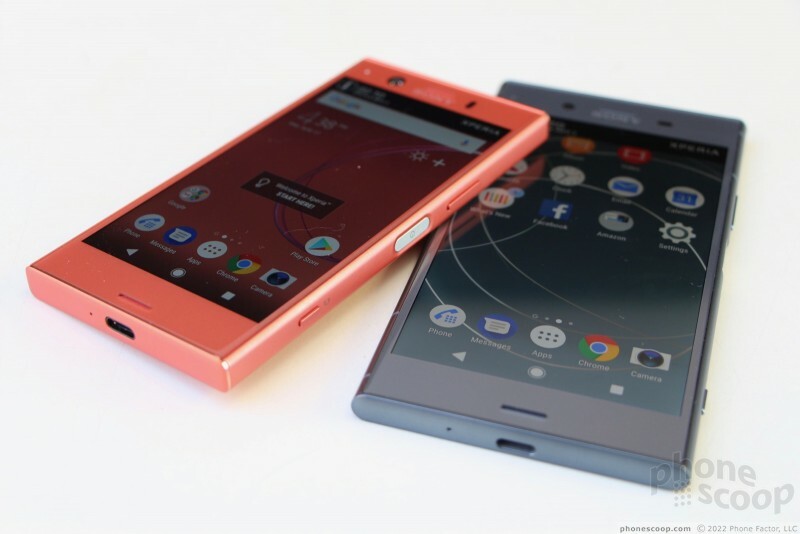 The Xperia XZ1 updates Sony's "loop" design language for 2017. This is only obvious when you view the device from the top or bottom edges, as that's the only profile that resembles any sort of loop. 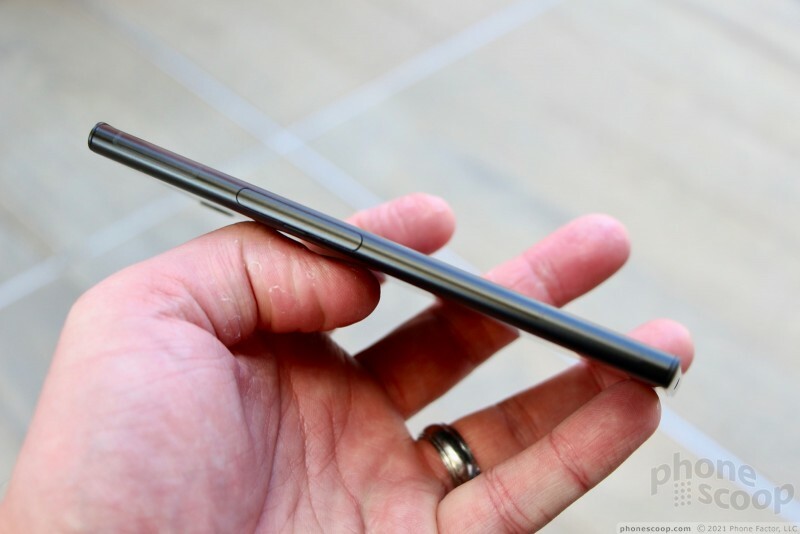 The metal side edges are rounded and create the seamless, rounded look when you view the phone's ends. 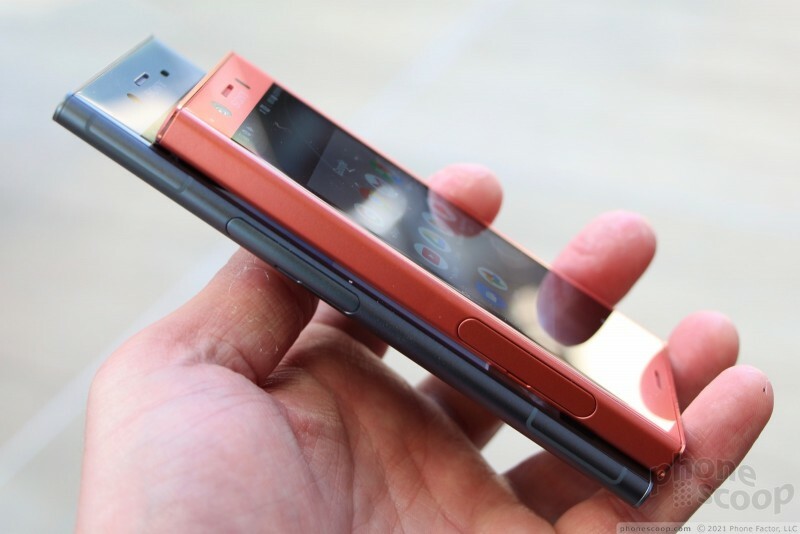 The device still has the distinct corners that Sony's devices so often include, which may make the phone uncomfortable in your pocket. While it isn't that much different from last year's model, the small improvements in the design add up to make for a more attractive and usable device. 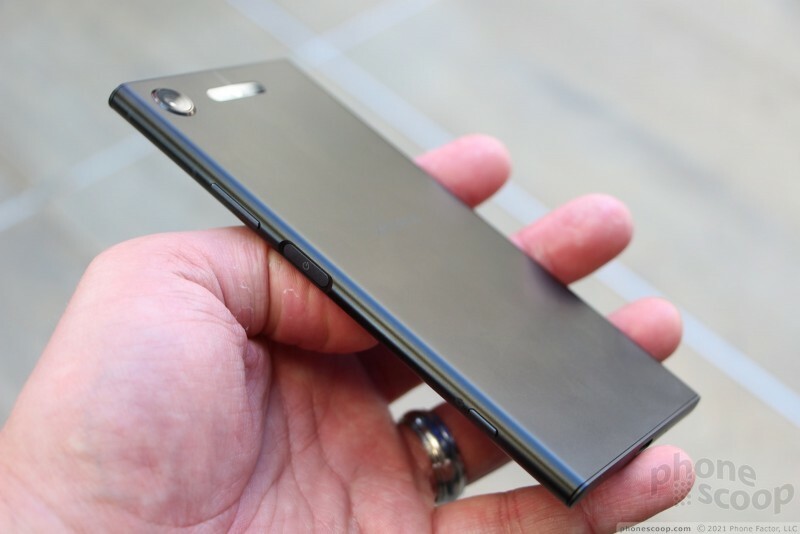 Perhaps the best thing about the XZ1 is that it ditches the polycarbonate frame from last year's model and jumps to an all-metal chassis. The entire rear panel is a seamless piece of material that wraps around the side edges, creating a completely smooth contour. I dig it. The 2.5D glass fits into the frame nicely. The metal and glass combo is really appealing. The front face is all glass. 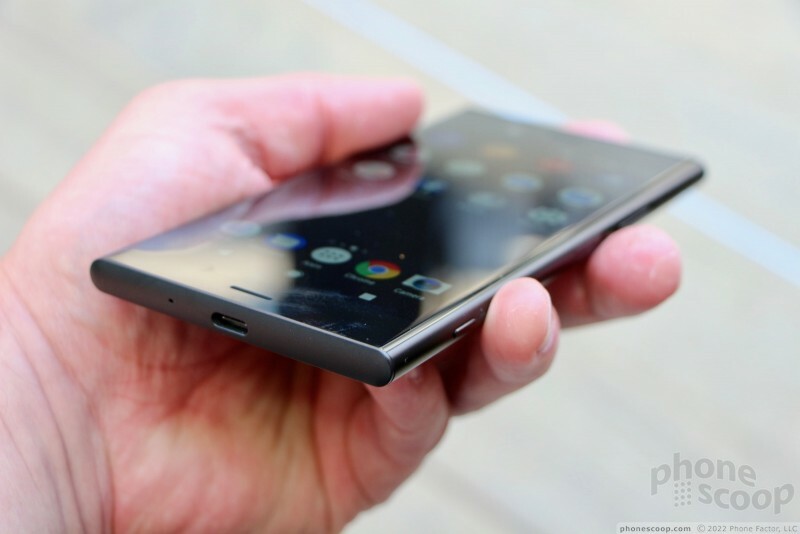 I like that there are no buttons; the XZ1 uses on-screen controls. 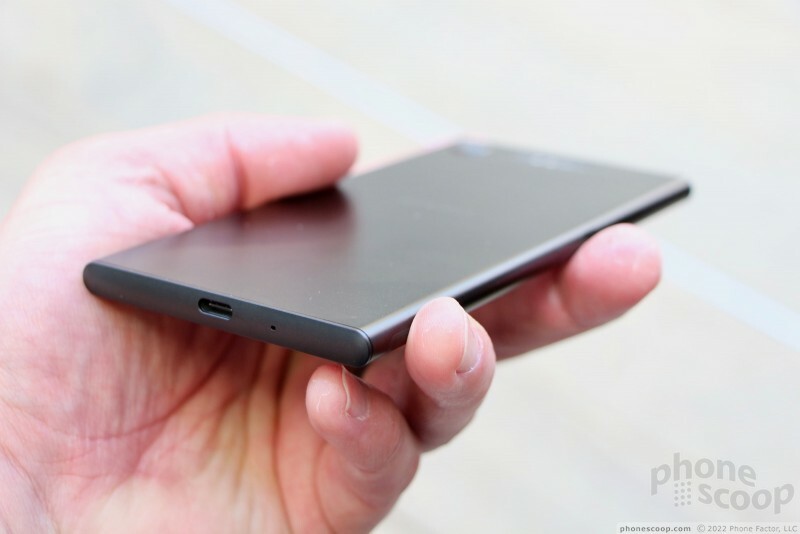 Like the XZ1 Compact, the XZ1 has to slits carved into the glass for the stereo speakers. Sony gave the speakers a new amplifier so they are much louder than before. 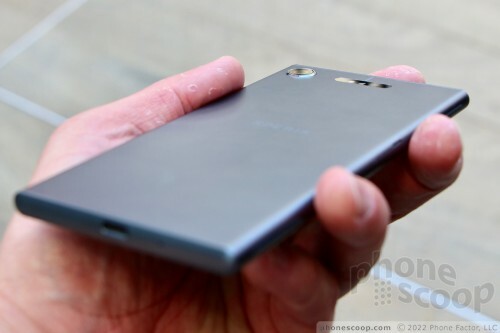 Sony says it has doubled the amount of air pressure it can create, and the phone can be set to crazy high volumes. I was impr saved by what I heard in th demo area. 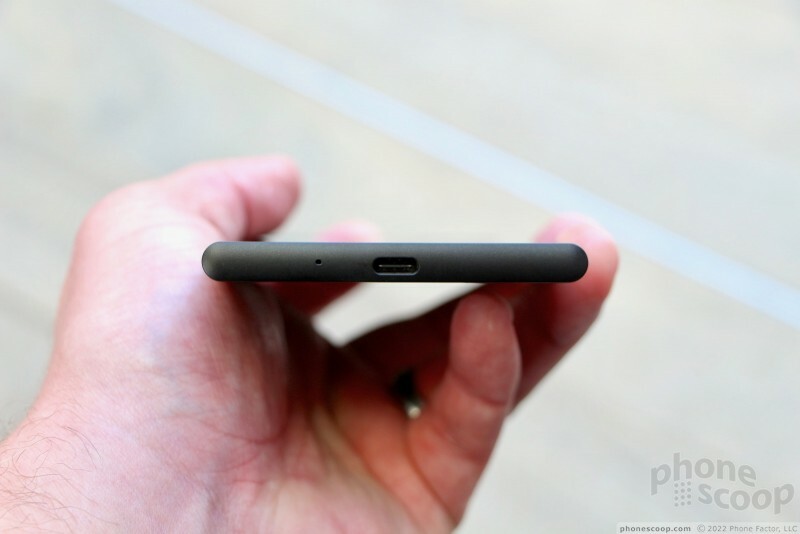 The user-facing camera and sensor array are positioned on either side of the earpiece grille. The 5.2-inch 1080p HD display is fine for what it is. The screen is bright, colorful, and clear. I think Sony is missing the boat with respect to the resolution, however, and it's past time Sony up its game. Most competing flagships have quad HD screens, which is much better for virtual reality. Sony told us it is skipping quad HD screens and will eventually go straight to ultra HD (4K) once they make more economic sense. 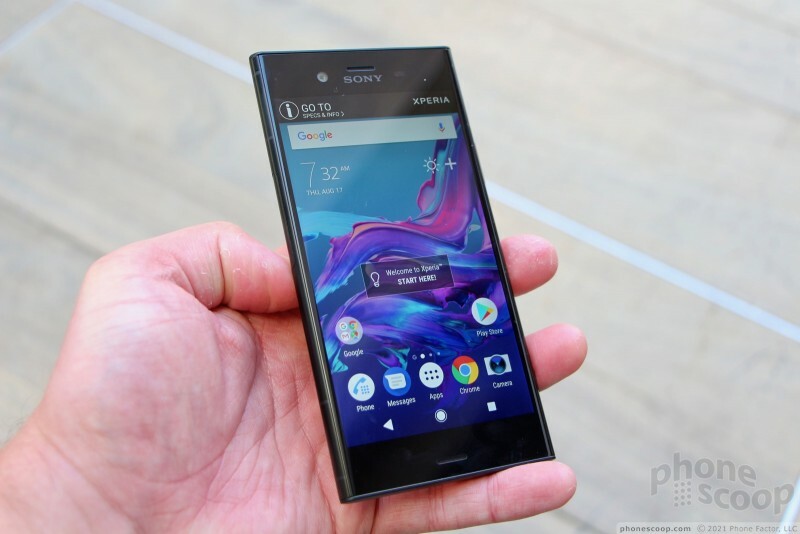 We've already seen at least two 4K handsets from Sony, such as the XZ Premium released earlier this year. Those screens were incredibly impressive, though rather pricey. For now, however, Sony is sticking with full HD. A hatch on the left edge covers the SIM/memory card tray. It is no trouble to find and use. The rest of the controls are piled up on the right edge. 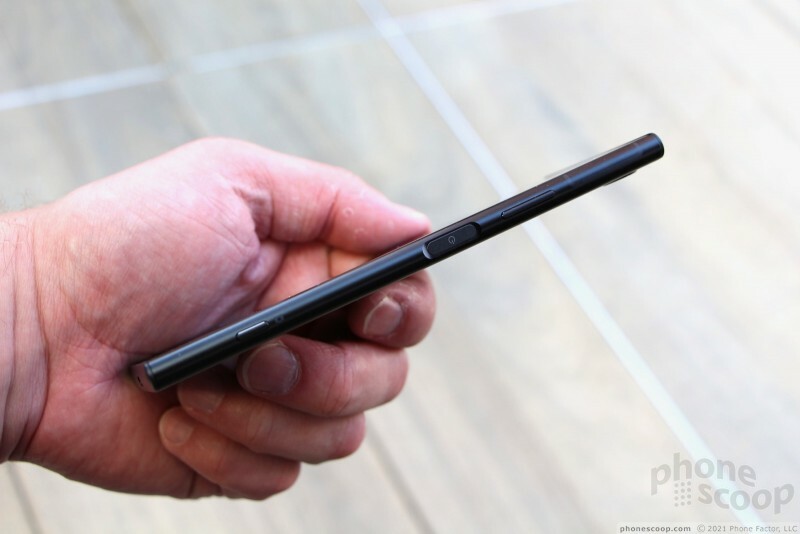 The screen lock button is near the middle of the side edge. It is rather flat, but easy enough to find. The volume toggle is positioned above the screen lock key and works well. 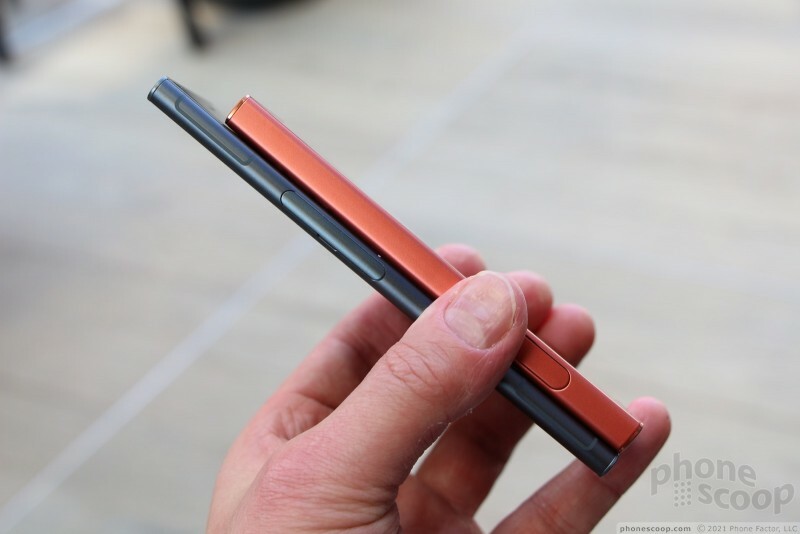 It has a slim profile and I like the travel and feedback. 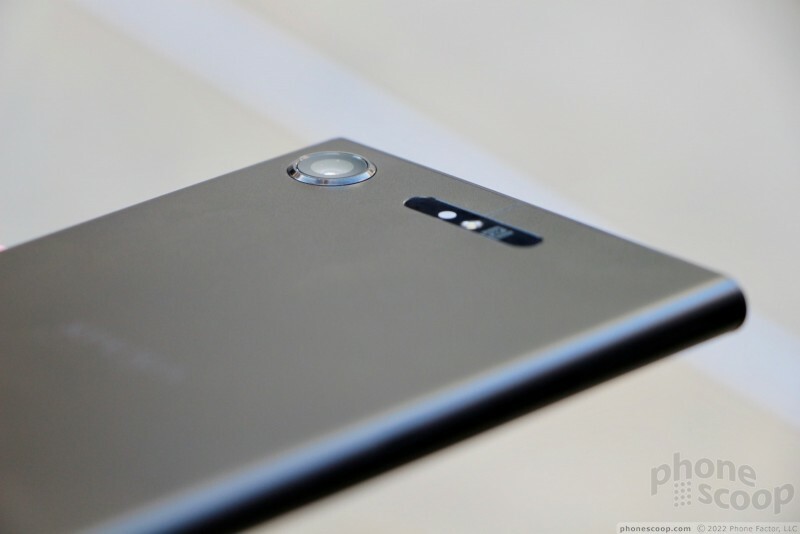 The dedicated camera button is where you expect to find such a key at the bottom of the right edge. It is a two-stage key and functions perfectly. 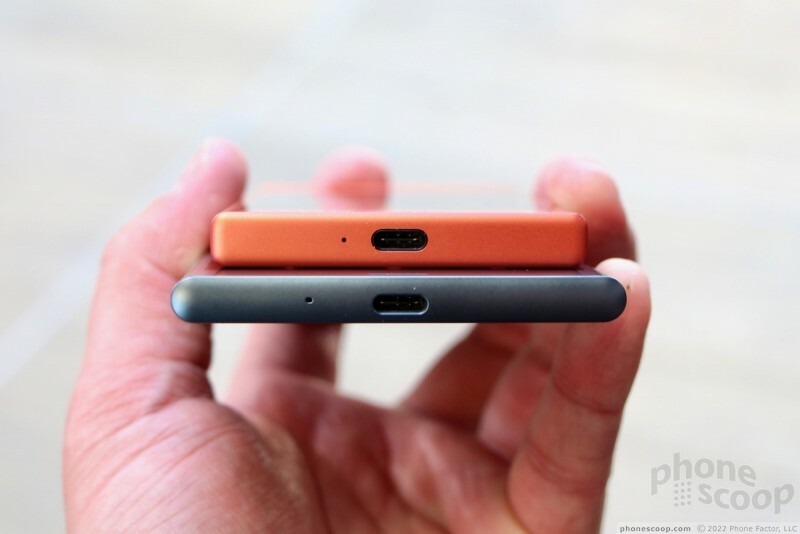 The headphone jack is on top and the USB-C port is on the bottom. 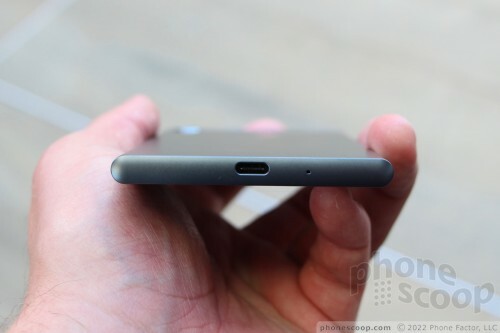 The rear metal panel is perfectly flat, save for the small bump of the camera module. The camera elements are tucked into the top-left corner. The round module sticks out about 1mm and has a nice rim to call it out visually. 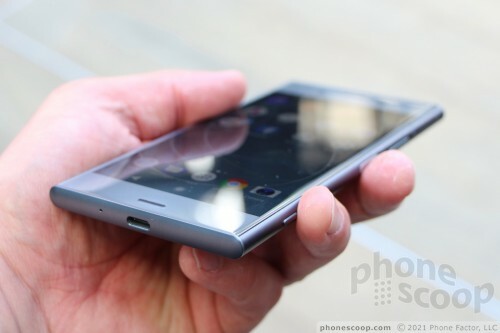 The phone has laser and phase-detection to assist in focusing on your subject. The focus and flash array is positioned o the right of the camera module. The rear panel is a solid piece and cannot be removed, nor can the battery. 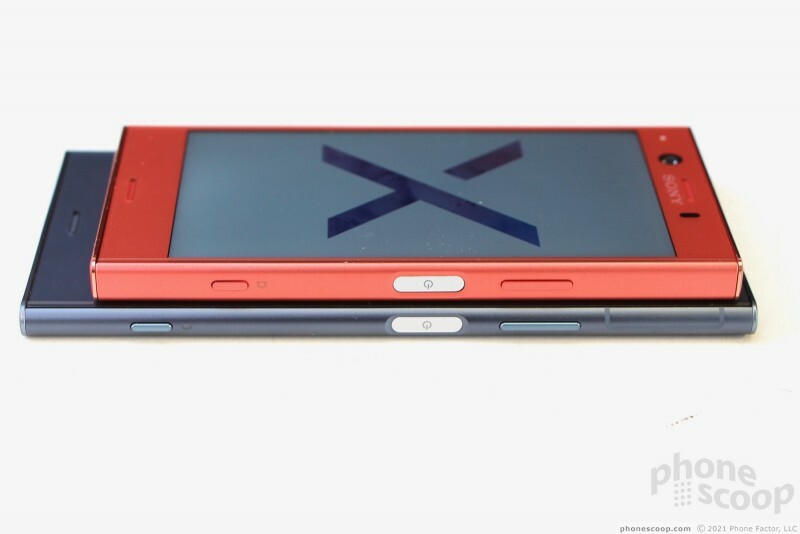 Under the hood, the XZ1 boasts top specs. You'll find the top-of-the-line Qualcomm Snapdragon 835 with 4 GB of RAM and 32 GB of storage. 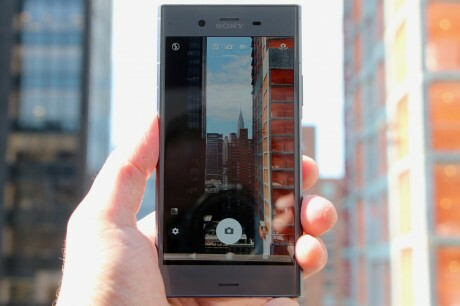 It's got a 19-megapixel main sensor and an 8-megapixel user-facing sensor. 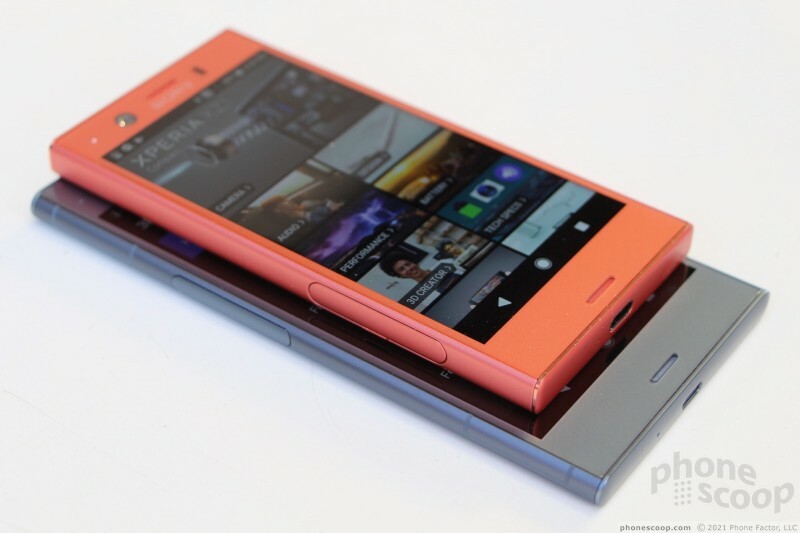 It also has a 2,700mAh battery with Quick Charge. If you're paying attention, the XZ1 has the exact same (small) battery as the XZ1 Compact. I wish it were bigger. 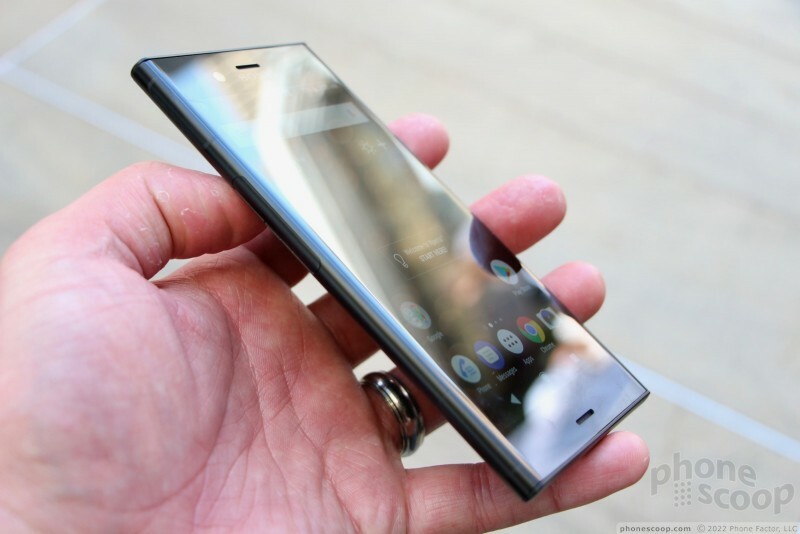 Sony says it has enough juice to get you through a ough I will point out that the phone supports Quick Charge 3.0. One of the neatest features of the phone is called 3D Creator (same feature is found on the XZ1 Compact). With it, you can scan 3D objects. There are four presets: head, face, food, and freeform. Each capture mode includes a tutorial so you can figure out how to use it. It takes about one minute to pan the phone around whatever object it is that your capturing and voila, you've created a 3D scan. What can you do with these scans? Share them via messenger, use them as your avatar, or even send them to a 3D printer to be made into a physical thing. This is totally superfluous, but also a lot of fun. 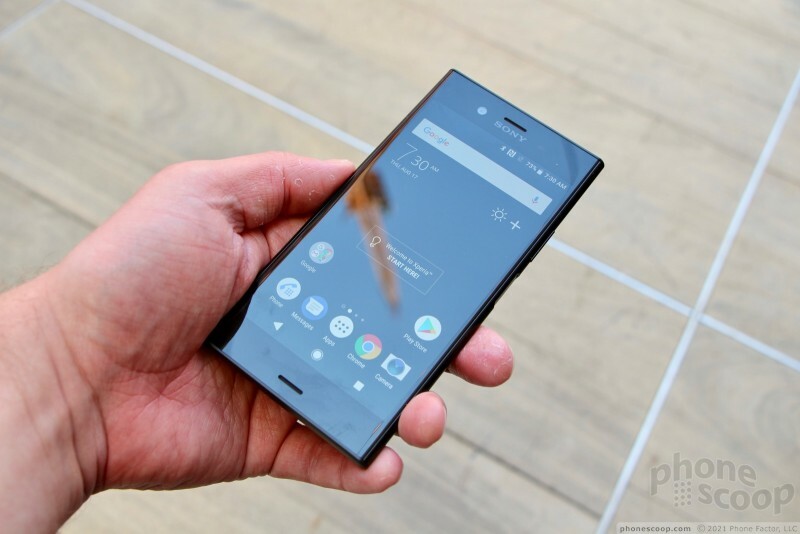 You wouldn't know that the Xperia XZ1 is running Android 8 Oreo, thanks to the hefty Sony user experience. The Android UI on the phone ran blazing fast on the preview units we saw. 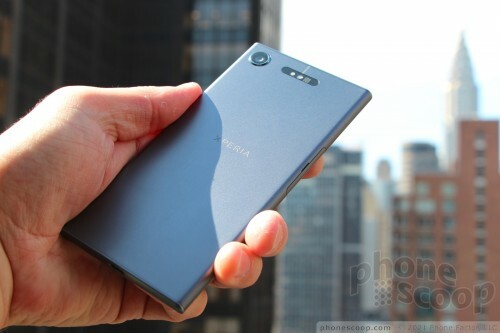 The softwas is of course identical o that of the XZ1 Compact. I really like the camera application. Overall I like the phone a lot more than I did with last year's model. My biggest complaint is the screen and the out-dated design. The XZ1 hits all the right marks when it comes to specs and performance. The phone goes on sale in September for a pricey $700. It will be sold online, unlocked, with support for AT&T and T-Mobile. 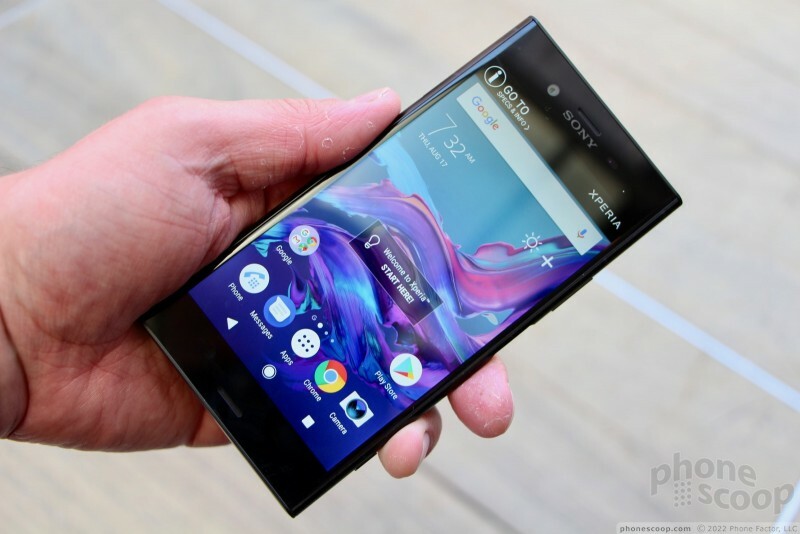 Sony's newest flagship-class device is the Xperia XZ. 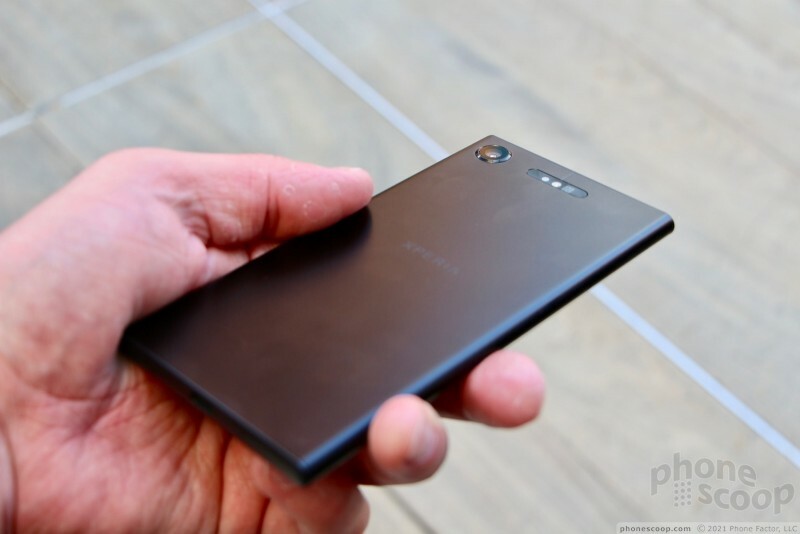 This phone builds on the design and features we saw in the Xperia X earlier this year and makes strides with the camera and video camera tools.